Archer Exploration Limited (ASX:AXE) has today announced that it has entered into exclusive negotiations with The University of Sydney for exclusive rights to develop and commercialise intellectual property (IP) related to graphene-based quantum computing technology. AXE is working with the University’s office of Commercial Development and Industry Partnerships (CDIP). The patent rights are jointly held between the University of Sydney and École Polytechnique Fédérale de Lausanne (EPFL) through a collaborative research project co-led by Dr Mohammad Choucair when he worked at the University. The University and EPFL finalised an agreement with which EPFL allows the University to take the commercialisation lead in processing to negotiate with Archer. The negotiations are part of the filing of an international patent application by CDIP under the Patent Cooperation Treaty (PCT), as international trade accounts for 96% of revenue in the global semiconductor and electronic parts manufacturing industry1. The development of commercial quantum computing technology would transform computing across multiple sectors, including pharmaceuticals, energy, transport, finance and security. It should be noted that LIT remains a speculative stock and investors should seek professional financial advice if considering this stock for their portfolio. Commenting on the exclusive agreement, AXE CEO Mohammad Choucair stated: “There is a need within the quantum computing market to develop componentry that can be integrated into electronic circuitry while remaining functional at room-temperature, allowing practical non-disruptive solutions that could facilitate the wide-scale point-of-use by consumers. “Our negotiations with CDIP will allow Archer to leverage our strategic graphite and graphene resources, and our inventory of specialised materials assets held in our Carbon Allotropes business, to find high value, materials-centric, end-to-end solutions to solve one of the most significant problems in our technological age. The IP relates to the development of a quantum electronic device (QED) for storing and processing quantum bits (qubits), the fundamental components of a quantum computer. The QED comprises advanced carbon material components critical for its function, including graphene, which are available in the inventory of Archer’s wholly owned subsidiary, Carbon Allotropes. Quantum computing devices form a strongly growing part of the semiconductor and electronic parts manufacturing industry worth an estimated $540 billion1. 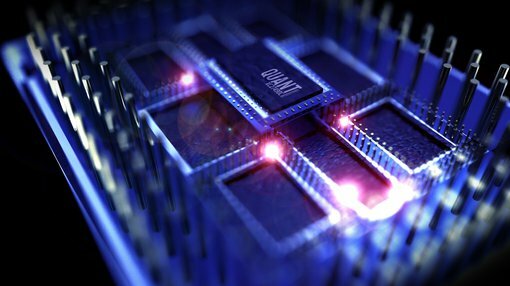 Materials are at the heart of some of the biggest technical and operational challenges in a quantum computing market, predicted to grow exponentially as technological advancements shift from theoretical foundations to prototype development. This shift includes both hardware (devices) and software, potentially affecting sectors dependent on computational power. Applications for quantum computing across various sectors are emerging, and including artificial intelligence, molecular modelling, cryptography, and financial modelling, where parallel analyses of large data sets, complex calculations, and end-to-end tamper proof signalling are needed. 1 IBISWorld Industry Report. May 2018. Global Semiconductor and Electronic Parts.